Fire destroyed a small shop at 105 Mile on Highway 97 Thursday morning. 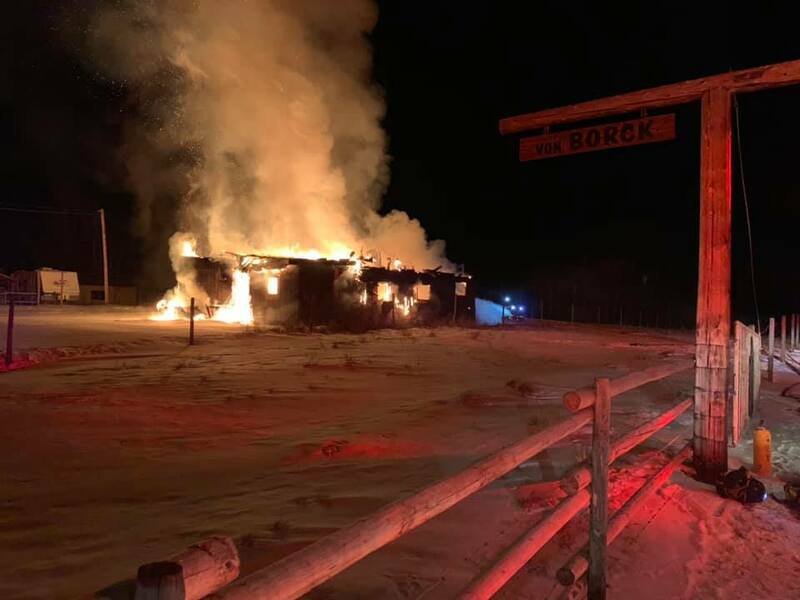 The 108 Mile volunteer fire department responded to the blaze in the early morning hours of February 7th. When they arrived, the building was fully engulfed. 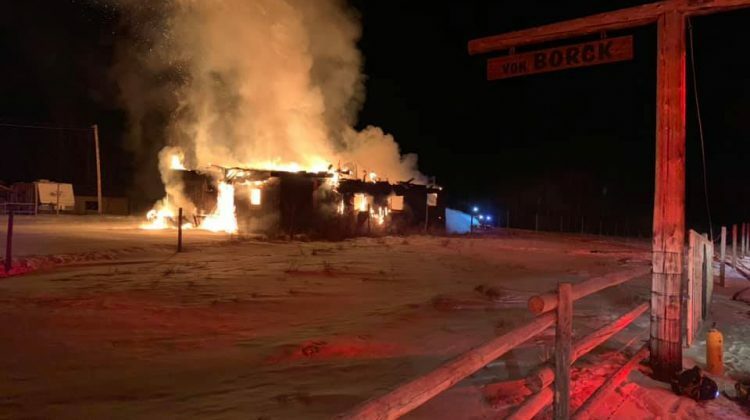 According to the fire department, the buildings construction of laminated 2x4s and heavy interior fuel load made it a stubborn fire, and they used over 20, 000 gallons of water on the stubborn blaze.